It’s critical to diagnose a stroke in progress because the treatment for stroke depends on the type, and, in some cases, the location of the injury to the brain. Other conditions with similar symptoms to stroke and transient ischemic attack (TIA) will need to be ruled out to diagnose stroke. Some of these include seizures, fainting, migraine headaches, heart problems or other general medical conditions. The type of stroke must be determined. 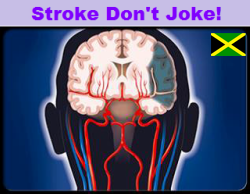 Ischemic strokes are caused by a blocked artery in the brain. A ruptured blood vessel causes a hemorrhagic stroke. Treatment for ischemic stroke is different than it is for a hemorrhagic stroke. Ischemic strokes may be treated with a clot-busting drug, called tPA (tissue plasminogen activator). So, it’s important to receive a correct diagnosis before treatment begins. To receive a clot-busting drug treatment such as tPA, a doctor must diagnose your stroke as an ischemic stroke and treat you within 4.5 hours of the onset of symptoms, which usually takes place in the hospital emergency department. If more than 4.5 hours passes, tPA can’t be given. Ask you when the symptoms of the stroke started. Conduct a physical and neurological examination. Have certain lab (blood) tests done. Do a CT (computed tomography) or MRI (magnetic resonance imaging) brain scan. This determines what kind of stroke a person has had (ischemic or hemorrhagic). Study the results of other diagnostic tests that might be needed. Diagnostic tests examine how the brain looks, works and gets its blood supply. Most are safe and painless. These tests fall into two categories: 1) imaging tests and 2) blood flow tests. CT (computed tomography) or CAT scan. It uses radiation to create a picture (like an X-ray) of the brain. It’s usually one of the first tests given to a patient with stroke symptoms. CT test results give valuable information about the cause of stroke and the location and extent of brain injury. MRI (magnetic resonance imaging). This test uses a large magnetic field to produce an image of the brain. Like the CT scan, it shows the location and extent of brain injury. The image produced by MRI is sharper and more detailed than a CT scan, so it’s often used to diagnose small, deep injuries. CTA (computed tomographic angiography). In CTA, a special contrast material (dye) is injected into a vein and images are taken of the blood vessels to look for abnormalities such as an aneurysm. MRA (magnetic resonance angiography). In this test, the blood vessels are imaged through a magnetic resonance scanner to locate a cerebral aneurysm. These tests give information about the condition of arteries in your head and neck that supply blood to your brain. Cerebral angiography (or cerebral arteriography). Special substances are injected into the blood vessels and an X-ray is taken. This test gives a picture of the blood flow through the vessels. This allows the size and location of blockages to be reviewed. This test is very valuable in diagnosing aneurysms and malformed blood vessels. Talk to your doctor, nurse or other healthcare professionals. Ask about other stroke topics. We have many other fact sheets to help you make healthier choices to reduce your risk, manage disease or care for a loved one. Do these tests cause any complications?